Are you someone who keeps their winter clothes in storage for the summer? It’s a smart idea to maximize your storage. If you haven’t already, you’re sure to be pulling out those winter clothes. It would be long before everyone is talking about the wind chill factor and whether there is snow in the air. Pulling out the heavy coats and sweaters might also have you stumbling through a lot of other winter clutter that is taking up space. The big question now becomes is it time to toss our your winter clutter? Let’s assume that you’re on Santa’s “nice list.” That could mean a few new winter clothing items coming into the house. Will you have room in your dressers and closets? It might be worth taking time to go through all your outfits and decide what you would wear again and what you wouldn’t. You just might find yourself freeing up a lot of storage space. Of course, winter clutter doesn’t just have to be clothing. It can also be a lot of other items like sleds, snow boots, snow blowers and snow shovels that have seen better days. All of that winter clutter is usually kept in your garage. Is there so much rubbish out there that you can’t even park your car inside? That’s not a good option for winter. 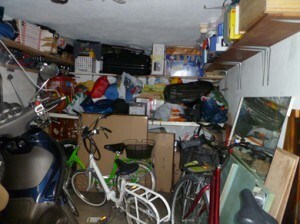 After assessing the amount of winter clutter you have to get rid of it will be time to call in Junk King Detroit. These are the junk removal pros that can quickly clear out all that unwanted stuff in a single session. Junk King will provide you with your own moving crew who you’ll supervise for the duration of the session. You don’t have to bring anything down from upstairs or up from the basement. All the stuff you want to get rid of can stay right where it is at. The Junk King team will pick it up right from that spot and load it all onto the back of their truck. A lot of that winter clutter might still be usable. Junk King will strive to get those items dropped off at a local charity that can put them in the hands of people in need. Perfect idea for this time of the year. If you’re ready to toss out your winter clutter, then put Junk King Detroit on the job. You’ll be glad you did. This entry was posted in Detroit Junk Removal and tagged clutter, junk king, junk removal, winter on November 27, 2017 by Junk King. Last updated November 27, 2017 .